If you want to go hiking and need a good backpack to take with you, you know hard it can be to find the right one. 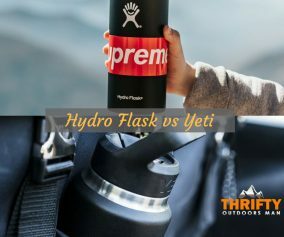 You need one that can fit your gear, is tough and durable, not too heavy, and so much more. Finding one that works for you can be a downright challenge. 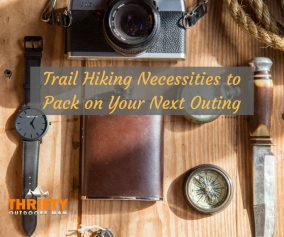 That being said, there are some really good options out there and we’re here to provide you with some really awesome choices, each of which is a top contender for the title of the best hiking backpack under $100. 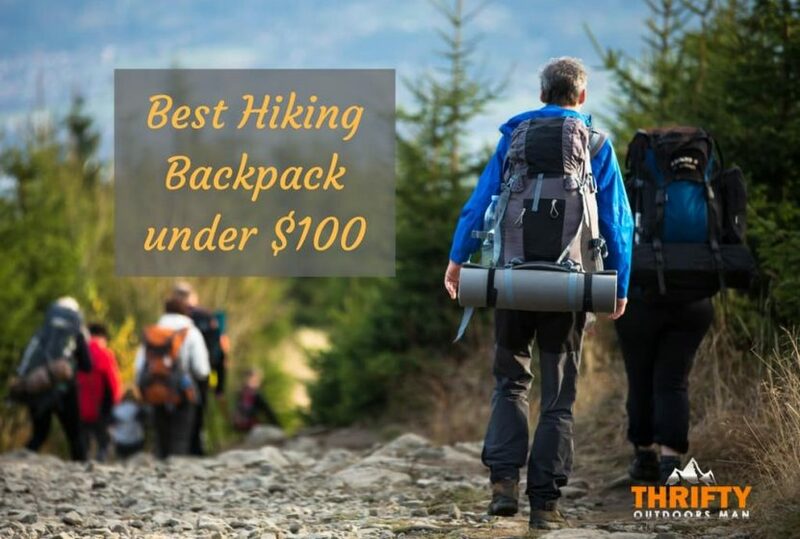 We have 5 really nice options for you to take a look at in terms of the best hiking backpacks under $100. So, let’s get right to it and take a closer look at each of them right now. 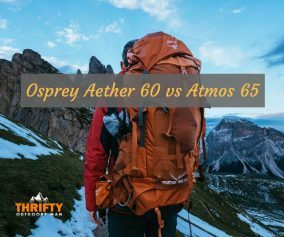 If you need a good hiking backpack with lots of room for all of your gear, this is a good option to keep in mind. The MardingTop Tactical Hiking Backpack has a ridiculous amount of available space for all of your gear. It has a massive main pocket, several other internal pockets, a bottom zippered pocket, and 2 detachable side pockets. We really like the detachable side pockets because you can take them with you or leave them at home depending on your needs. Also, the Molle webbing loops allow you to hang even more gear on the pack, plus it also features water bottle holders too. The MardingTop Tactical Hiking Backpack is also extremely comfortable to carry. It features an ergonomic design with a lot of padding for the back. At the same time, it features highly adjustable and well-padded shoulder straps to ensure that your shoulder and back don’t get tired while carrying it. Even better is that it also features a padded waist strap that can fit any waist under 49 inches. All in all, this backpack was designed with comfort in mind. Moreover, the MardingTop Tactical Hiking Backpack is made with super durable water-resistant polyester. The material itself is very rugged and can withstand a trip through Mother Nature. It also comes with a waterproof rain cover, so you can keep everything dry when nature isn’t cooperating with your plans. When it comes to durability, the inner frame is something that helps; it keeps the bag in prime condition, plus it makes it so that the bag cannot collapse in on itself. This is another great option to go with. This backpack has a lot of room with an 80-liter capacity with a main compartment, secondary compartment, a water bladder compartment, a sleeping bag compartment, and other little pockets too. You won’t run out of room for storage with the Mountaintop Hiking Backpack on your back. The nylon build of it is quite durable, and even better is that it is also water resistant. It even comes with a waterproof rain cover so everything can stay nice and dry. The internal frame works to support this backpack from the inside, so it doesn’t collapse in on itself. It’s actually a fairly lightweight backpack, one that also comes with additional tool and accessory attachment points. The water-resistant anti-scratch 900D oxford canvas sits over an internal frame which ensures that it is about as stable as can; it will not collapse in on itself. At the same time, the strong materials used for the construction make sure that it won’t fall apart on you. The material is made to be water resistant, plus it comes with a free rain cover included as well. It has a fairly high weight capacity and comes with quite a bit of room. This is a 70-liter bag, with a large main pocket, secondary pockets, and many other pockets for storage. It even comes with an expansion system in case you are carrying a huge load. The Molle system allows you to carry tools, accessories, water bottles, and more attached to the backpack for easy access. This bag is built to be highly adjustable and features a fairly high level of comfort. This particular bag has an astounding 100 liters capacity; in other words, it has more room inside of it than any other option we’ve looked at so far. It has a large main pocket, several secondary pockets, and numerous small pockets for accessories. You won’t easily find a higher capacity bag than this one. Comfort is also very strong feature when it comes to this bag. It comes with wide and well-padded shoulder straps, an ergonomic design, and a padded back brace for easy carrying. The material itself is a high-wear, corrosion-resistant, anti-tear fabric that is totally waterproof. This backpack is also highly adjustable to make sure that people of different sizes can easily carry it. If you are a woman, you will love this pack. It is specifically designed to fit the shape of the female body. The single contoured aluminum bar can be adjusted for your size, plus it helps to increase the durability of this hiking pack. This particular hiking pack features a molded foam back panel and well-padded straps for carrying comfort. 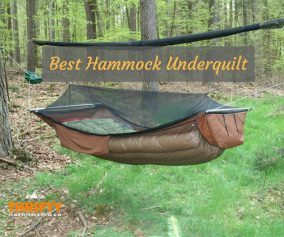 It also features a lot of mesh which helps keep things cool and airy. This bag features a top-load main compartment with numerous other pockets and ways to carry additional accessories, tools, and whatever else you need to take with you. All in all, this backpack has a lot of room; it is durable and comfortable to carry and features many areas of adjustment to make this pack as easy to carry as possible for you. When it comes to the best hiking backpack under $100, all of the above options are ones that we would highly recommend.